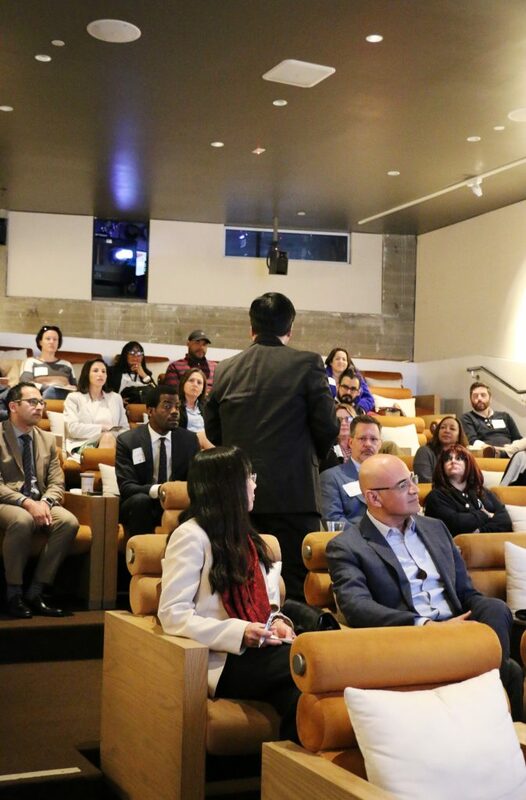 On March 27th, LAEDC’s Digital Media and Entertainment (DME) Council convened administrators and educators from regional community colleges and industry and government stakeholders for an insightful conversation around designing diverse and inclusive talent pathways with community colleges and the DME industry. 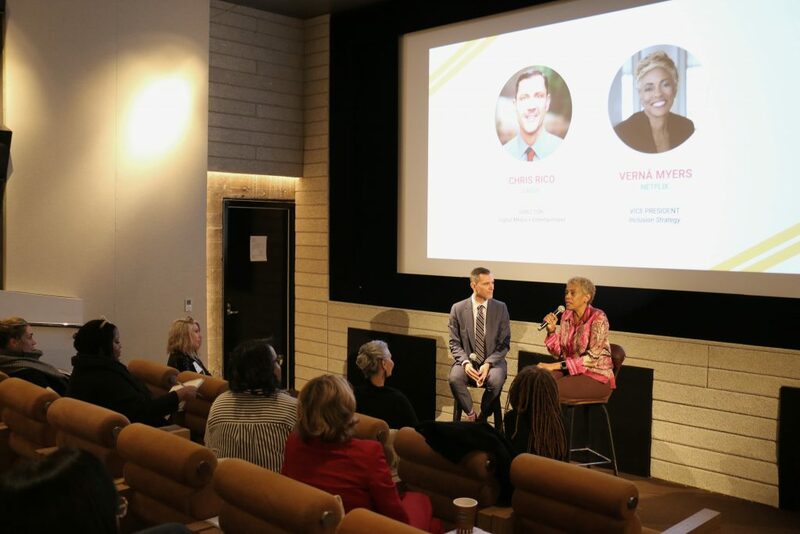 Hosted by NeueHouse and the Center for a Competitive Workforce (CCW), the meeting featured an LA County field scan by the Los Angeles County Arts Commission and a panel discussion with Netflix’s Vernā Myers (VP, Inclusion Strategy), who shared her personal journey from independent DEI (diversity, equity, inclusion) consultant to industry champion. 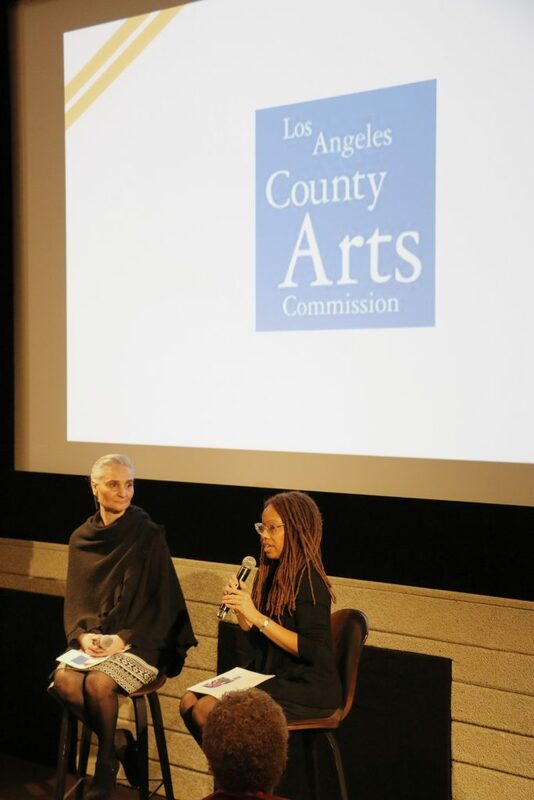 The Los Angeles County Arts Commission’s Kristin Sakoda (Executive Director), Denise Grande (Director of Arts Education), and Meia Johnson (Arts Education Program Manager) presented an overview of an LA County field scan that advances the commission’s Cultural Equity and Inclusion Initiative. Complete with actionable recommendations, studies, and next steps, the field scan informs the investments, access points, and improvements needed to create a workforce ecosystem that is truly diverse, equitable, and inclusive by design. A copy of that presentation along with other commission resources are available below. How might industry reconsider the language and requirements for entry-level positions for non-traditional (older, career transitioning) community college students? Can you name two soft skills and two technical skills that all future industry talent should possess? Which of these skills did you personally learn in school? Which of these skills did you refine through experience? What can we do to create more socioeconomic diversity in our workforce? Netflix’s content is consumed by audiences of all socioeconomic backgrounds. How are you also employing people that represent that diversity? As Netflix continues to be a mainstay in Los Angeles living rooms and a cultural force worldwide, it’s perhaps the most exciting model for content creation and distribution and talent acquisition. From their people, products, and processes to their presence and partnerships, the company has leadership – and not just content – worth watching. Vernā, who began her career with Netflix as a DEI consultant, sees Netflix as a promising platform to influence three industries: tech, entertainment, and diversity. This emerging intersection has forced Netflix to hire the “best of the best,” a mandate that often favors people with elite alma maters and extensive networks. This prompts the following question: how can community college students compete in this industry without a school brand or a network to co-sign their work ethic and creativity? 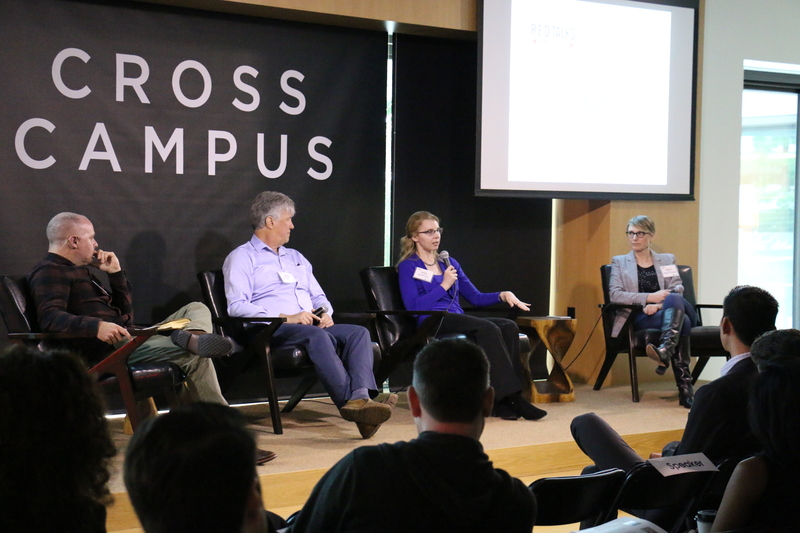 Netflix has mediated this question with community-centric initiatives, including production partnerships with neighboring high schools and workforce mixers. “People from production often say, ‘we would love to hire __, but we don’t know where they are,’” Vernā chuckled. So, they created a large database, invited hundreds of community members to a mixer, and tasked Netflix creatives and producers to talk to and employ them. The culture that exists and is continuously developing in Netflix is one of agility and adaptation, a reality that most community college students understand better than most traditional students. “Community college students are deeply intelligent because most of their lives have been about adaptation,” she continued. To that end, Vernā challenged administrators and educators from Glendale Community College, Los Angeles Valley College, Santa Monica College, West Los Angeles College, and Long Beach City College to promote jobs and departments that aren’t exactly the status quo of digital media and entertainment, but are in need of more equitable representation: human resources, legal, finance, and visual effects. The aforementioned schools represent 5 of the 19 regional community colleges in the Center for a Competitive Workforce (CCW), a data-driven research collaboration between business and education leaders in the Los Angeles Basin. Alongside other community colleges in Los Angeles and Orange Counties, these colleges collectively serve over 770,000 students and offer over 200 career education programs. Additionally, educators from Mount Saint Mary’s University and Lawndale High School; industry advocates from Sony Pictures Entertainment, Dakar Interactive, and the Association of Independent Commercial Producers; and public leaders from the California State Senate, LA County, and the LA Mayor’s Office contributed to the conversation. While developing industry-driven curricula and pathways are crucial to the foundation of a more diverse and inclusive talent pipeline, administrators, educators, and students should not overlook the importance of creating authentic relationships with people outside of their communities and interests. 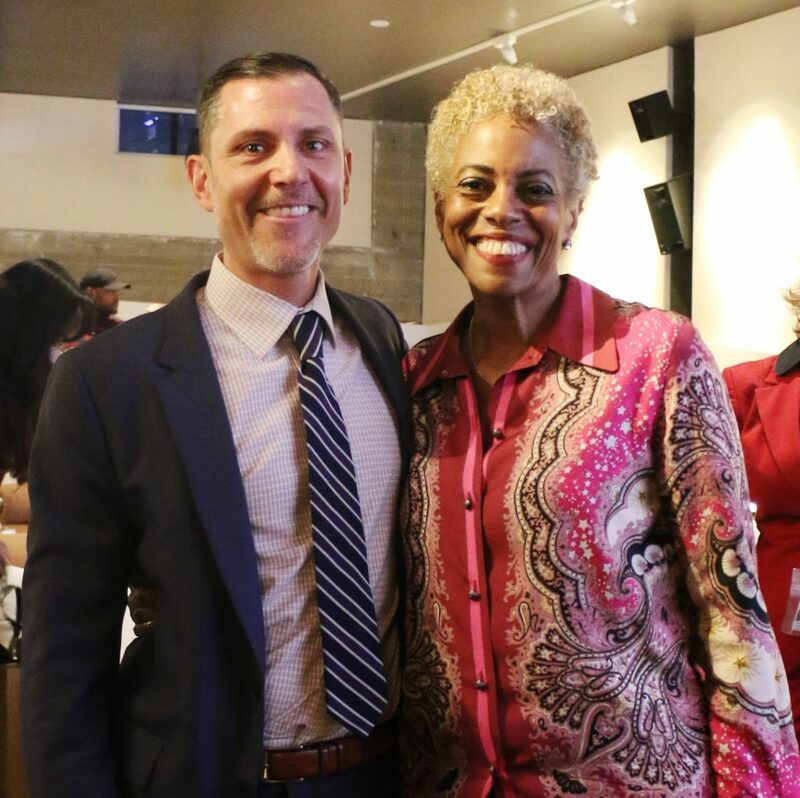 Vernā posed a word that she believes prevents community college students from opportunities and industry leaders from community college talent: proximity. “People have ideas about groups of people, but not authentic relationships with them,” she said. In a place as sprawled as Los Angeles, people can exist in a part of the city without ever interacting with other parts. Likewise, there’s a single story that precedes community college students and education. The real work that exists then for administrators, educators, students, executives, creatives, and public servants is creating opportunities to gain proximity in order to stop “othering” each other. For the sake of this conversation re: socioeconomic diversity in the industry, perhaps proximity can start with internships. 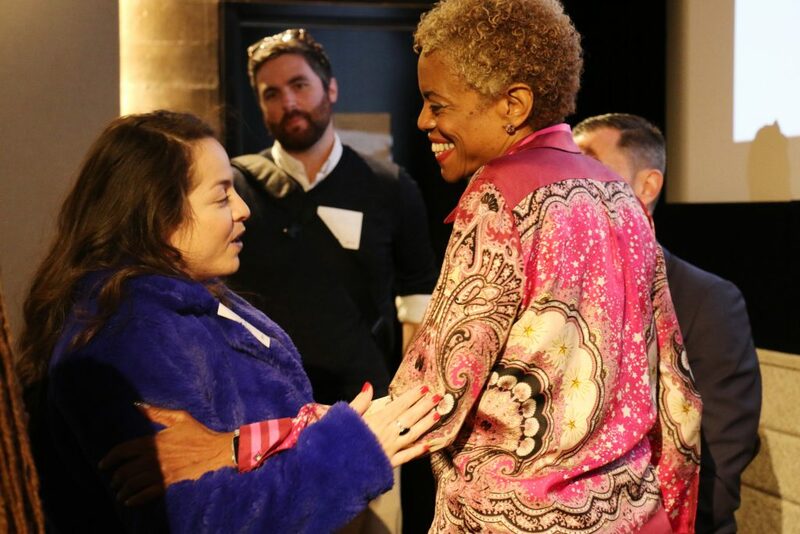 The conversation that took place at the first Digital Media and Entertainment Council meeting of 2019 began as an introduction to Netflix and Vernā Myers, and concluded as a call to action for all the participants in the room. 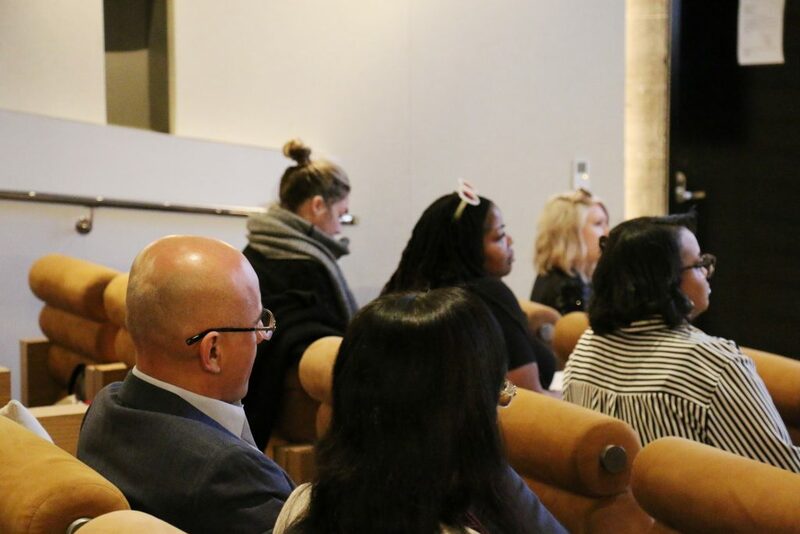 We would like to thank NeueHouse for hosting such a compelling conversation, and Netflix for their dedication in leading the industry in both diverse pathways and content. Moreover, we want to thank Vernā Myers, Kristin Sakoda, Denise Grande, and Meia Johnson for their work in integrating diversity and inclusion in their business and community engagement, and Shannon Bloom, Kristin Ofria, and Phil Moya for their guidance and support in making this meeting possible. Lastly, we would like to thank those who attended the event and continue to serve as gatekeepers of information and connections to community college talent. We look forward to continuing this important conversation and elevating students in our regional community colleges to seek, land, and grow in the multidisciplinary jobs that exist in LA’s thriving Digital Media and Entertainment industry. For more information on how to get involved with LAEDC’s DME Council, please contact Chris Rico ([email protected]) or Phylizia Carrillo ([email protected]).